Fits 2 Wheel Drive Applications Requiring GM Turbo-Hydramatic 400 Automatic Transmission. 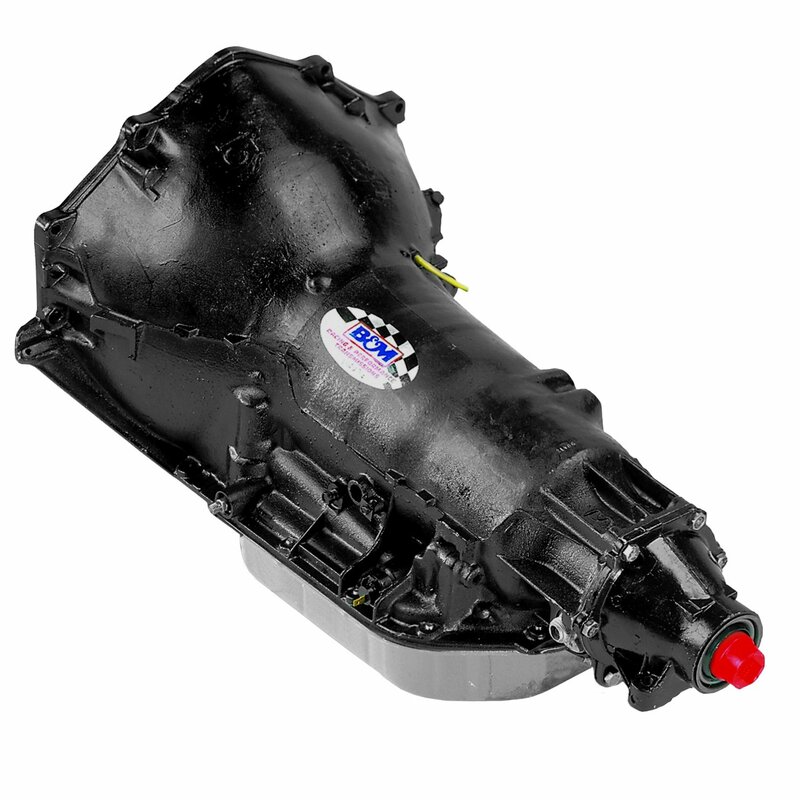 The B&M Traveler TH400 transmission is a rugged model built specifically for heavy duty towing, RV and Off-Road applications and features medium firm shifts compared to the very firm shifts of our Street/Strip models. The Traveler transmissions also feature increased oil flow which provides cooler operation under extreme conditions. The TH400 Traveler transmission features a short 4.00 inch tail shaft, large diameter bushing for use with a large diameter yoke and will handle up to 600 HP and 550 LB FT of Torque. Other features include the standard shift pattern, rebuilt B&M heavy duty front pump, all new B&M high performance friction plates, B&M chrome steel transmission pan and much more. Dip stick and speedometer gear not included.